Welcome to the ECA Greater London Regional Page. The Greater London Region has the most diverse membership, serving some of the largest contractors in the industry, whilst also supporting the smaller contractors. Our London members undertake a wide range of work including installations from the Power station to the Plug top, both major and minor works, in LV and HV, Controls. FM, Fire, Security, CCTV and much much more. We pride ourselves in creating a one stop shop for our members, information when you need it, in a format you can easily understand, at a time frame which suits you. If you are an existing member and have questions about how to get the best out of your ECA membership or you are considering joining the ECA and would like to know more please contact us. Save your business thousands of pounds! 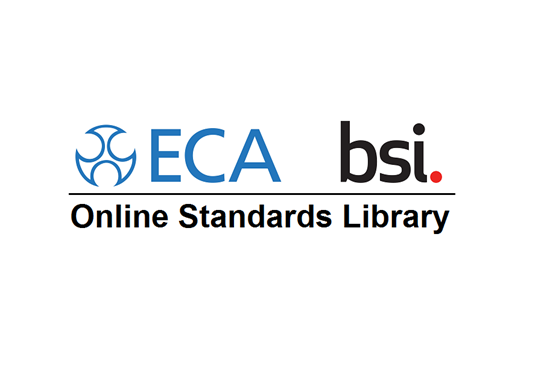 The ECA BSI Online Library features over 80 electrical and electronic installation British Standards. Hard copies of British Standards can cost up to thousands of pounds each to purchase. The Online Library Licence price for a yearly subscription is £100 (+ VAT). Kevan Parker has been appointed Managing Director of Certsure. A new labour market report on the electrotechnical industry has estimated that between 12,500 and 15,000 additional skilled electricians will be needed over the next five years to accommodate forecasted growth. ECA team will be at the event with a stand to answer any questions about ECA. EI Live! 2019 is returning with an expanded format covering three related and inter-connected sectors giving exhibitors and visitors a unique opportunity to explore existing relationships fully, but also create brand new ones. EI Live! 2019 will cover home automation, entertainment, and AV systems, but also encompass commercial building automation and AV as well as smart products from the world of electrical contracting.